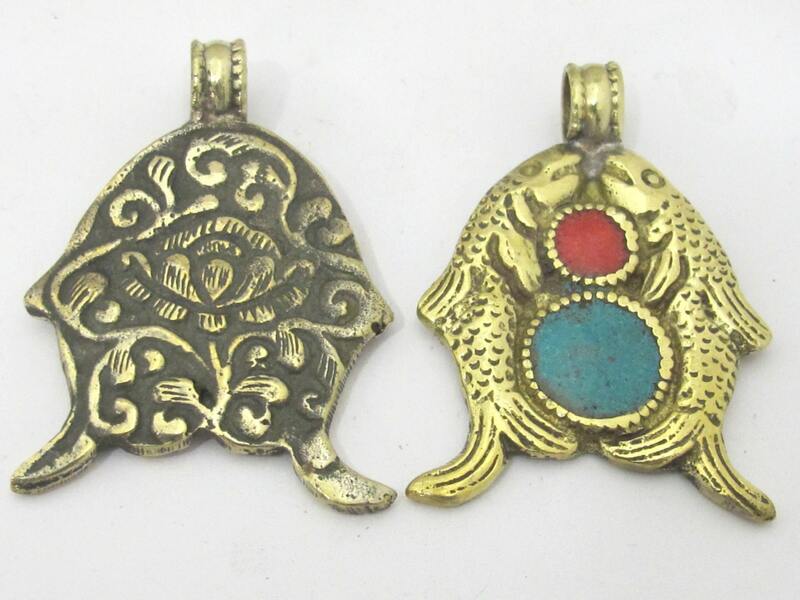 Two Golden fish symbol solid brass pendant from Nepal . 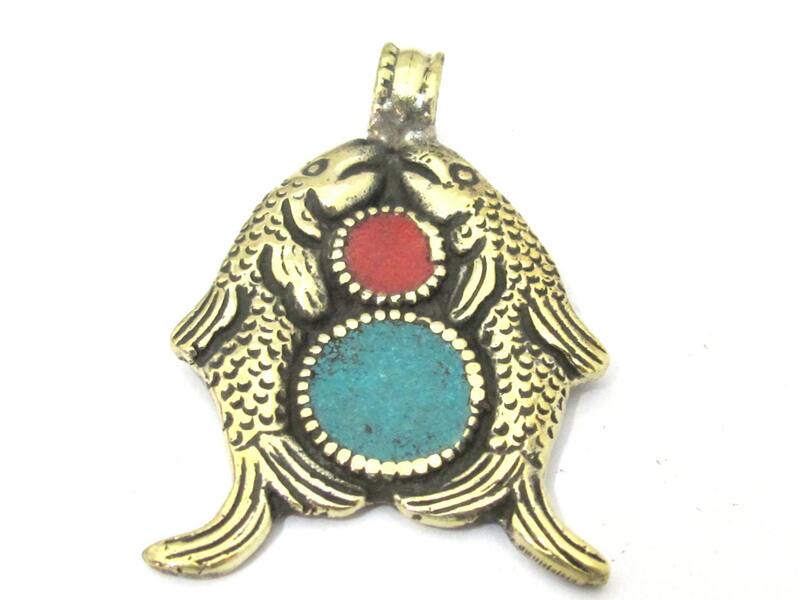 Inlaid with turquoise and coral. Reverse side has detailed hand crafted lotus flower symbol. 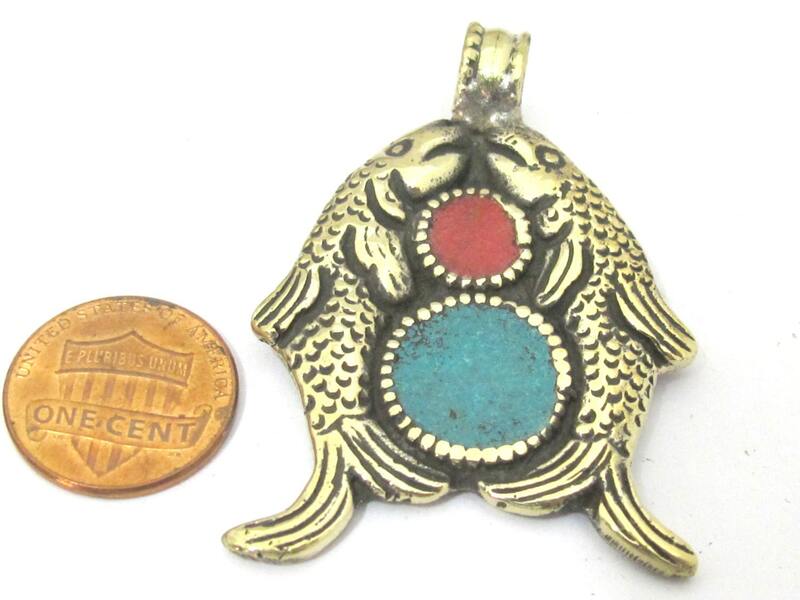 Since these are handmade each pendant may vary slightly from the other.